Multiple investigations at a Roanoke County nursing facility is nothing new. In fact, Department of Health regulators have investigated the Richfield Recovery and Care Center four times already this year. In total, the facility has been cited more times than any other facility in Virginia – totaling 45 deficiencies in all. The high number of deficiencies is especially troubling, because other nursing facilities in Virginia average 8.5 each year. The recent investigation is in response to a complaint filed last October by a former nursing home employee. The Richfield facility has a troubling long list of substantiated issues that involve state disciplinary actions, lawsuits and inspection reports. The new complaint alleges that facility residents with the greatest potential of falling are at higher risk because they are often left unmonitored where they wander unattended through the facility. The complaint claims many of broken hips and arms of elderly patients at the facility were preventable. It claims that staff shortages can be attributed to the high rate of fall injuries and that the number of alarm systems designed to alert the nursing staff anytime a resident gets out of bed is insufficient. Many of the infractions are minor, posing only minimal risks to a few patients. Even so, the local Office on Aging assistant director Norma McCroskey believes that the high number of deficiencies is “a lot to be concerned about with this facility.” The independent organization she represents monitors the welfare of residents in nursing facilities statewide. 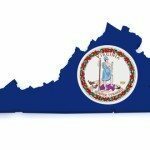 State regulators conduct routine inspections in Virginia nursing homes at least one time every year as mandated in their certification process. Every filed complaint is investigated separately. However, the complaint can be included during the certification review each year. In 2014, the Richfield Recovery and Care Center had undergone a comprehensive inspection four times in a single year. The first 33 deficiencies were found in its initial investigation in February and another 12 were revealed during subsequent inspections occurring in April and May. The Richfield facility agreed to settle a suit filed in 2012 by an injured resident diagnosed as a high fall risk patient. While the facility management was to supply two staffers to help her shower, she broke her right leg during a fall incident when only one single attendant on hand left the patient alone. A second lawsuit was also settled involving a 2005 death of a facility resident. The 94-year-old resident was considered a high-risk fall patient when he slipped out of his wheelchair before tumbling down a stairway. The suit alleges that the resident was not supervised properly at the time of the incident. He later succumbed to his injuries at the hospital a few days later. In many incidences, the inspection is unannounced and usually conducted by an official state inspector. These inspectors are licensed social workers, RNs or other health care professionals. When the nursing facility does not meet the standards of care as regulated by government agencies, the facility must submit an effective plan of correction outlining every method and solution to all stated deficiencies. Nursing home abuse and neglect continues to be an ongoing problem in Virginia. In some incidences involving numerous deficiencies, a follow-up survey is performed as a way to verify how each deficiency was corrected.